Beautiful view of the beautiful Lake Jennings and the surrounding mountain area. This 2 bedroom 2 bath home has a wonderful 23'x14' living room, 17'x11' family room and a large 13'x12' kitchen. 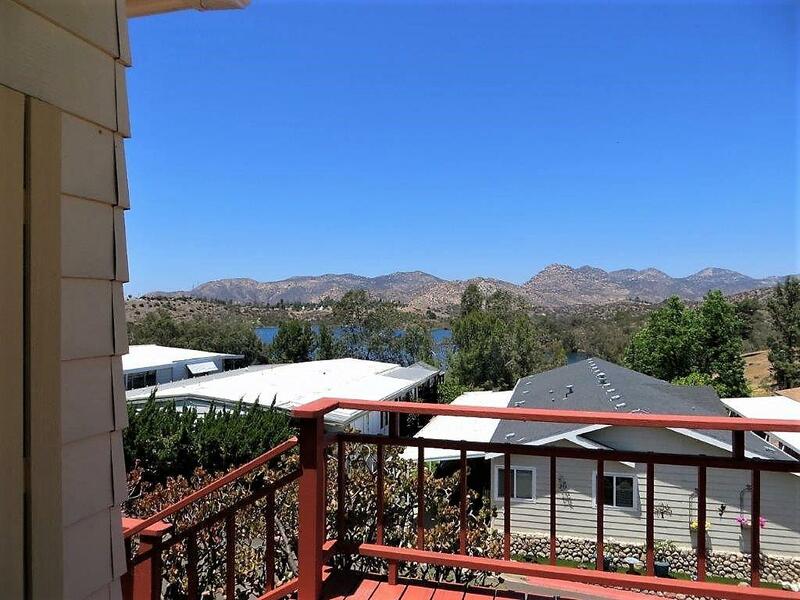 It sits in a gated 55+ community which enjoys all the amenities you would expect from one of the most prestigious parks in San Diego County with only $190.00 per month HOA fees and you own your own space. A park within the park, Clubhouse, Library, Shuffleboard Courts, Billiards, Craft Room, heated Spa & Pool Saunas, Doggie Park, Jogging Trail, Horse Shoe Pits, RV Parking and, of course, fishing at nearby Lake Jennings! Listing provided courtesy of Chiles & Assoc. Real Estate Co. Listing information © 2019 San Diego MLS, Inc.